Place walk-off grids or mats at the entry points to your home or business. This will help prevent soil from being tracked from the outside onto the inside carpeting. Vacuum and/or clean these mats frequently. Once they become loaded with soil, their effectiveness is greatly reduced. Vacuum your carpet frequently using a vacuum with a high efficiency collection bag or system. In high traffic areas, carpet manufacturers recommend you vacuum at least once or twice a week. Vacuuming removes the sharp and abrasive soil that can cut, scratch, and abrade the fiber causing premature wear. Particular soiling left in your carpet has sandpaper like effect on the carpet. Much of this soil is not visible to the eye. Vacuum before the carpet looks soiled. Keep your vacuum in good working condition- check belts ad change the collection bag frequently. Immediate spot removal is the key to a clean carpet. Great care also must be taken in how spot cleaning is performed. When carpet is new, or has sufficient protector on it, plain tap water will remove many spots. However for those spots that will mot move easily with water, you should use a spotting solution from your local cleaning professional. 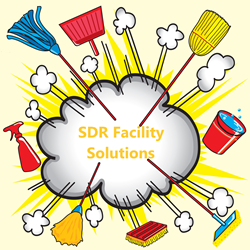 They have access to spotting solutions which have been formulated by the same companies who make professional cleaning solutions. These types of spotters have been demonstrated to be more effective, as well as not to leave sticky residue which can cause your carpet to re-soil rapidly. Most spot removers that are purchased over the counter at your grocery store or home improvement center leave too much sticky residue and cause rapid re-soiling or yellowing. Avoid using foam carpet cleaners or any product that is not made specifically for carpet. The longer the spot is allowed to dwell on the carpet, the more chance there is of permanent discoloration. Blot up any excess spill. Apply spot cleaner sparingly to white cotton towel and gently massage spot causing it to transfer into the cloth. Never pour spot cleaner directly on carpet. Blot area with water. If the spot persists, consult your professional carpet cleaner. Some spots and spills require the professional equipment, cleaning solutions, and skills of a professional. Repeated attempts to remove the spot may set the stain or cause permanent damage. As a general rule for residential carpeting, cleaning by a professional, trained, certified firm should take place about once per year. For extremely heavy traffic areas, homes with pets, and homes with people with allergic sensitivities, more frequent cleaning is recommended. Proper professional cleaning will not leave a sticky residue behind and can be done as many times per year as needed. Professional cleaning with truck mounted or high performance hot water extraction cleaning is the method most often recommended by cleaning industry experts and carpet manufacturers. Professional cleaning removes the damaging soil from the traffic areas that vacuuming has not been able to remove. For commercial carpeting, periodic professional cleaning with hot water extraction may need to be combined with interim low moisture encapsulation cleaning for maximum carpet appearance and performance. The frequency of cleaning will depend on the amount and types of soiling, the traffic load on the carpeting, carpet owner considerations, budget considerations and other indoor and outdoor environmental conditions. Residential carpets are treated with stain and soil resistant treatments when they are manufactured. These protective treatments will wear and traffic off over a period of time. After a period of 1 to 2 years, carpet manufacturers recommend the re-application of a protective treatment. Your carpet protector should provide your carpet with additional soil resistance for water and oil based spills and soiling, as well as protective barriers which prevent spilled liquids from staining your carpet. The soil resistance will help the soil slide off the carpet easier when vacuuming, spots will be easier to remove, and professional cleaning will be more effective. Copies of specific warranties on your carpet purchase may be available from your carpet retailer. Your carpet's stain and soil resistant warranty, wear warranty, and texture retention warranty most likely requires periodic (at least every 12-18 months) professional hot water extraction cleaning by a trained certified professional cleaner. Many warranties on your carpet provide coverage for five years or longer if your carpet is maintained according to the manufacturer's directions. Paint ends up on carpet through a variety of means- some as innocent as a slight drip while painting, other from more disastrous spills. One of the first things you must be willing to accept is the responsibility to analyze is whether or not even trying to remove a large paint spill is worth the time and effort, particularly if it is already dried. Repeated spotting attempts using solvents may often lead to more paint being transferred onto spotting towels, but is it really ever going to all come out? The second thing you have to avoid is the temptation to use whatever the hardware or home improvement store sells for paint clean-up, such as turpentine or acetone or methylene chloride, and figure that might be the best way to remove a large paint spill. The carpet is not going to be better off with less paint in it, but having completely delaminated by a harsh solvent. The use of a professional spotting gel will allow you to use an effective blend of solvents and emulsifiers on the paint itself, but it will not quickly soak down into the carpet to dissolve the latex that holds the carpet together like a liquid might. Consider practicality of treating spill. Removing paint may be possible, but often not without severe damage to carpet an delamination. If paint is still wet, keep it damp until you can begin working on it. Remove as much of the material as possible using scraper. Apply spotting agent to spill. Using tamping action to force spilled material into clean, white, cotton, colorfast towel. Repeat steps 4-6 so long as progress is being made. 1. Remove as much of the excess material as possible. 2. Apply a srot treatment to the spot and let it sit for 2-3 minutes. 3. Extract the are with hot water or blot the spot with an absorbent towel and very hot water. 4. Repeat application if necessary. 1. Use a spatula to remove as much of the material as possible before applying any solution or water to affected area. 2. Extract the area with warm water or blot the area with a colorfast towel moistened with warm water. 3. Apply a spotter to the area and allow to sit for 2-3 minutes. Agitate with spatula. 4. Extract the area with warm water or blot the spot with an absorbent towel and warm water. 5. Repeat application if necessary. 1. Use a spatula to remove as much of the material as possible before applying any solution or water to the affested area. 3. Apply spotter to the spot and allow to dwell for 2-3 minutes. Agitate in with spatula. 4. Extract the area with warm water or blot the spot with absorbent towel and warm water. 1. Often times, moisture and water cause unstable dyes and colors to transfer from costumes and decorations to carpet and upholstery. 3. Apply a spotter to the spot and allow to set for 2-3 minutes. Agitate with a spatula. 4 Extract the area with warm water or blot the spot with an absorbant towel and warm water. 1. Using spatula or the edge of a spoon, break up and remove as much of the deposit as possible. 2. Rinse and extract the area with multiple, slow extraction passes. Use cool water for raw egg spill. 3. Apply spotter generously to the affected area. 5. Allow to dwell 2-3 minutes. 6. Rinse and extract area thoroughly. 7. Repeat steps 3 through 6 until spot is completely removed. 1. Remove as much of the sticky stuff as you can dry with spatula. 2. Dry vacuum the area just using the vac hose from your spotting machine or extractor. 3. Apply spotter sparingly over the sticky, gooey mess. 4. Agitate the spotter with spatula and allow to dwell 1-2 minutes. 5. Extract the area thoroughly with hot or warm water. In absence of extractor, blot the area with a clean white cotton towel and hot water. 1. Remove as much of the excess material as possible using a spatula. 2. Apply a spotter to the spot and allow to dwell for 2-3 minutes. Agitate in with spatula. 3. Extract the area with very hot water or blot the spot with absorbent towel and very hot water. 2. Apply a spotter to the spot and allow to dwell 2-3 minutes. Agitate in with spatula. 1. Use spatula to remove as much of the material as possible before applying any solution or water to the affected area. 2. Extract the area with hot water or blot the area with a colorfast towel moistened with hot water. 3. Apply spotter to the spot and allow to dwell 2-3 minutes. Agitate in with spatula. 4. Extract the area with hot water or blot the spot with absorbent towel and hot water. 1. Remove as much of the staining material as possible dry. This can be accomplished with a spatula or the edge of a spoon, and vacuuming. 2. Apply a spotter around the outside of the affected area. This will keep the material from spreading as it dissolves. 3. Apply spotter gel to affected area. 4. Agitate area with a spatula. 5. Tamp area with tamping brush forcing material into clean, white colorfast , cotton towel. 6. Repeat steps 2-4 so long as material keeps transferring into towel. 7. Thoroughly extract area. 1. Blot as much of the liquid spill up as you can with a clean, colorfast cotton towel, or extra the area. 2. Apply a spotter to the spot and allow to dwell for 2-3 minutes. Agitate in with a spatula. 3. Extract the area with hot water or blot the spot with absorbent towel and very hot water. The key to removing hard water, soap scum and mildew from showers with as little damage and fatigue as possible is taking the time to properly identify the specific soils and surfaces before just diving in and scrubbing. Different soil types and surfaces require different chemicals and cleaning tools. Most importantly, what works on one soil type can actually make other soils worse, so simply put not all dirty showers are created equal. Hard water is usually chalky white deposits of calcium and magnesium on shower glass and tub rings, often in the shape of dried water droplets and drip patterns. Red or green rust stains are also part of the hard water family, as the iron that causes these stains is another chemical that is common in hard water. Mildew and Mold are usually slimy on the surface with colorful stains underneath that are typically black, green, or pink and grow where moisture lingers longest in the shower, such as unsealed grout lines that absorb water. Soap scum is a crusty waxy film that is made when the chemicals of hard water, calcium and magnesium, mix with soap. The textured nature of the scum also helps trap bacteria, boxy oils, dead skin cells, and more, giving it a climier and more 3D feel than just simple hard water deposits. Hard water minerals (calcium, magnesium, and iron) all dissolve in acid. For the safety of the cleaner and the shower surfaces, select the mildest acid possible that still yields quality results. In our experience, Husky 430 Creme Cleansor, is very safe and effective and also provides strong yet gentle surface scrubbing power. Mildew and Mold need to be whitened with an oxidizer to temporarily remove the stain. Bleach or Hydrogen Peroxide (like Husky 416 Mildew Stain Remover or Husky 906 RTU)are both effective, but short lasting, as mold growing inside infected grout will continue to spread to the surface unless the water source is removed by re-sealing the grout. It is very important not to apply oxidizers to rust and iron deposits, as they will actually make the rust stains more vibrant and harder to remove. Soap scum responds well to acids, just like hard water but all the other soils trapped in the scum mean you must add detergents and degreasers to break through and lift all the oils and dirt. Cleaning soap scum with just acids like vinegar without adding detergents like dish soap will lead to poor removal. We've found Husky 415 or Jaws 3410 cleaner to be an excellent and safe combination of detergents and gentle acids to power through the toughest soap scum. First, determine how durable a shower surface you are cleaning. If the shower is a delicate material like marble or travertine, you cannot use acids or abrasives, so specialty products are required. Presuming the surface is durable, apply the correct soap and allow to soak in for at least 10 minutes or per manufacturer's directions. This is critical to making sure the soap has enough time to have desired chemical reaction. Dissolving calcium, whitening mold, and breaking apart soap scum all take several minutes, especially if the soils are thick from neglect. After the correct soaking time, select a gentle broad scrubbing tool, like the back of a non-scratch scrub sponge, to quickly rub down the shower walls to loosen and wipe off all the easily removed soils. This is not the step for deep scouring, so use broad, overlapping circles to quickly emulsify soils over a large area. After a quick, gentle scrub down, rinse the walls and see what stubborn soils still remain. Apply more cleaning product to those target spots and scrub with a more abrasive tool, like an iron handle scrub brush or tile and grout detail brush. This is the time to also scrub important details like the seam around bathroom fixtures, tub jets, corners, and caulking lines. After the second scrub, rinse again and dry the shower tiles with a quality microfiber towel, like the Buff Microfiber Towel. Drying is an especially critical step when fighting hard water and soap scum, as the rinse water provides a new dose of hard water chemicals to re-deposit on the freshly cleaned shower. Drying with microfiber ensures the least residue, which also allows chrome and smooth tiles to shine their brightest. Correct cleaner selection reduces surface damage, fatigue, and needless surface wear from over scrubbing. Selecting the gentlest yet effective soaps and tools extends the lifespan of the bathroom surfaces and increases cleaner safety. Employing strong caustic acids, heavy abrasives, and sharp scraping or scouring tools all take years off surfaces' usable life, damage the environment, and should only be used as rare shock treatments in the cases of extreme neglect. Or simply put, Less is More! Using this 2 stage scrub process greatly reduces the needless expenditure of energy heavy scrubbing areas that don't need it. It also reduces the wear on the shower tile and grout that is being needlessly scrubbed as well, extending the life of the grout sealants and tile appearance.